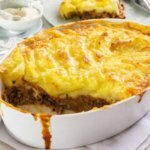 This tasty cottage pie recipe is a classic dish which the kids tend to love just as much as the grownups. We are adding butter and cheese to the potatoes for a tasty, cheesy result. As for the beef layer, carrot, onion, beef stock and ketchup go into that to make the flavour just wonderful. A shepherd's pie recipe is made with lamb (hence the word shepherd in there!) while a cottage pie recipe is made with beef. First you will be boiling the potatoes, then mashing them with the butter and cheese. We are adding some onion in there too for a nice flavour. Then you can prepare the carrots and make the beef layer. The beef layer and potato layer go together in a baking dish, then the whole thing goes in the oven. Serve this with broccoli or green beans on the side, or even just by itself because there are meat and vegetables in there. Some people like to swap the ketchup for a can of baked beans. Others add peas as well as the carrots and onion. The smaller you mince the vegetables the more you can hide in there so the kids don't spot them! It's a great way to up their vegetable intake. 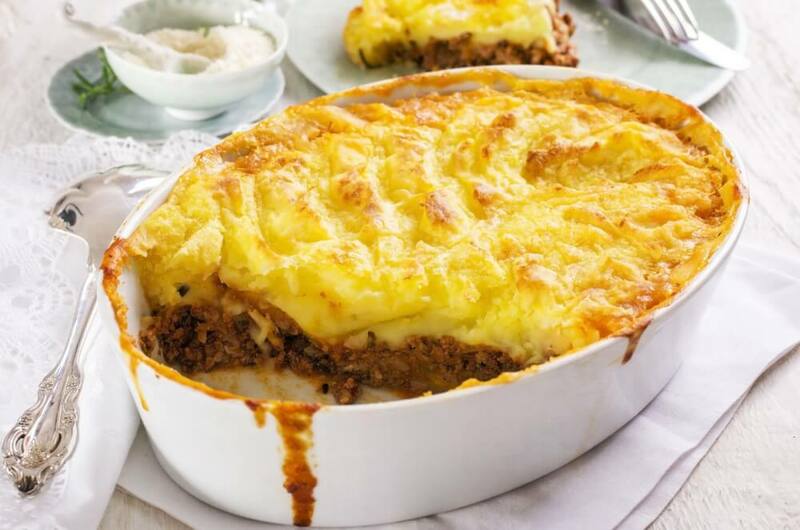 So go ahead and make this cottage pie recipe your own, making your own tweaks. You will love this recipe and perhaps want to make it for the family every week. 2. Add the potatoes and cook for 15 minutes or until tender but still firm. 3. Drain the potatoes then mash in the butter, 30g cheese and half the onion. 4. Grind in salt and pepper to taste. 5. Set this mixture to one side. 6. Boil the carrots for 5 minutes then drain. 7. Preheat the oven to 180 degrees C.
8. Heat the oil in a skillet then fry the onion in there for 5 minutes. 9. Add the remaining onion and beef and cook until the beef is browned. 10. Pour off any excess fat and stir in the flour. 12. Stir in the beef stock and ketchup. 13. Bring this mixture to a boil then reduce the heat. 14. Simmer for 5 minutes. 15. Spread the beef mixture over the base of a casserole dish and sprinkle over the carrots. 16. Top with the potato mixture. 17. Sprinkle extra cheese on top. 18. Bake for 20 minutes or until golden brown.